A 1.6MB OTA update which will take your Motorola Droid to version FRG22D Froyo, allow for Flash 10.1 to be downloaded from the market, and include some additional security patches will be sent to your phone…well…soon. 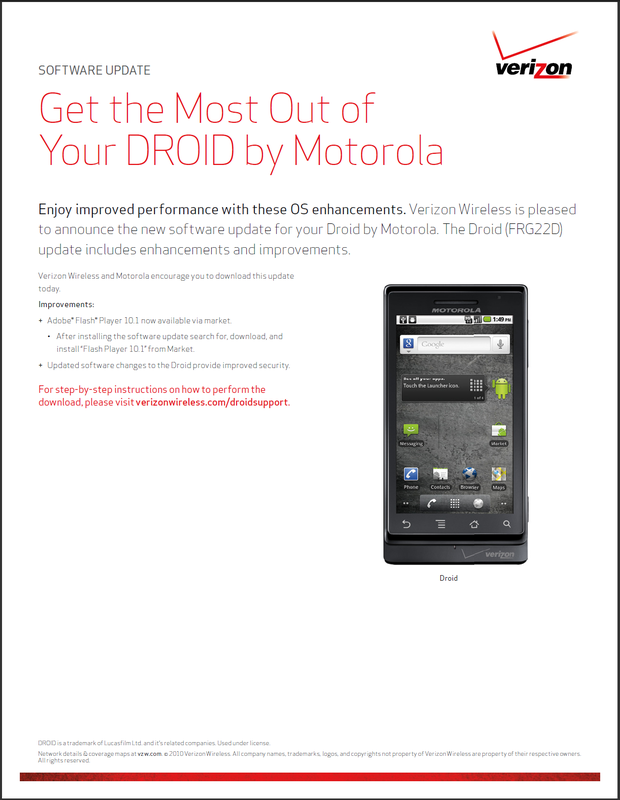 No date yet, but the Verizon Droid Support page is live with the document above. Wonder if it had anything to do with this post of official Flash from us just a couple of hours ago? And while this is only a variation of FRG22 like we were on to a few weeks back, we were aware that this was coming. Wonder what those security patches are for? Stay tuned while we dig for dates!